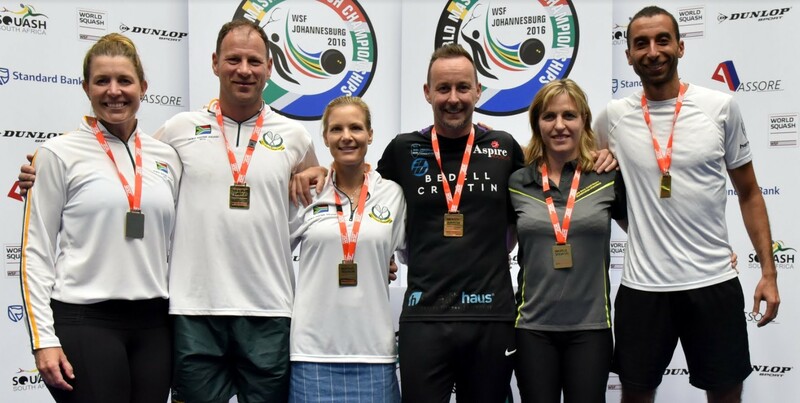 Frenchman Gregory Gaultier and England’s James Willstrop will line up in the surprise final of the Punj Lloyd PSA Masters after straight games successes in the semi-finals of the ninth and final PSA World Series squash event of the year at the Siri Fort Complex in the Indian capital New Delhi. Fourth seed Gaultier, a former world number one from Aix-en-Provence, ended the brave run of 20-year-old EgyptianMohamed El Shorbagy to reach his second World Series final of the year – while Willstrop, the third seed, despatched England team-mate Peter Barker in just 30 minutes to reach his third World Series final in a row. After reaching No2 in the world rankings this month following World Series title successes in the Hong Kong Open andKuwait PSA Cup last month, Willstrop is now just one victory away from becoming world number one for the first time in his career in January. 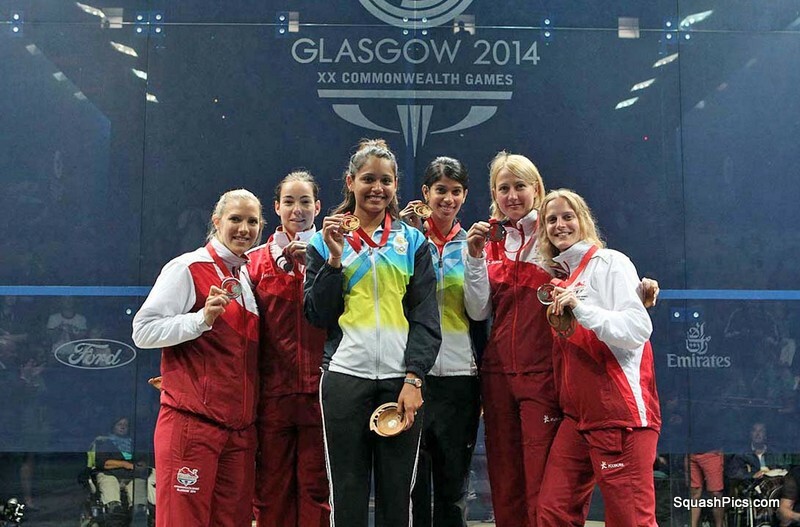 Gaultier has been in fine form at India’s 2010 Commonwealth Games venue in New Delhi where he has cruised into the last four without conceding a game. There was no let up in the match against El Shorbagy, the rising star of Egyptian squash who was celebrating his second successive appearance in a World Series semi after claiming a career-first victory over his senior compatriot Karim Darwish, the event’s second seed. After prevailing in a tight first game, world No3 Gaultier took control of games two and three to close out the match 12-10, 11-7, 11-1 after 53 minutes to reach the 43rd PSA World Tour final of his career. “For a 20-year-old like Mohamed to be nearly in the top five is really impressive,” said the Frenchman after coming off court. “I was only top 10 at that age. 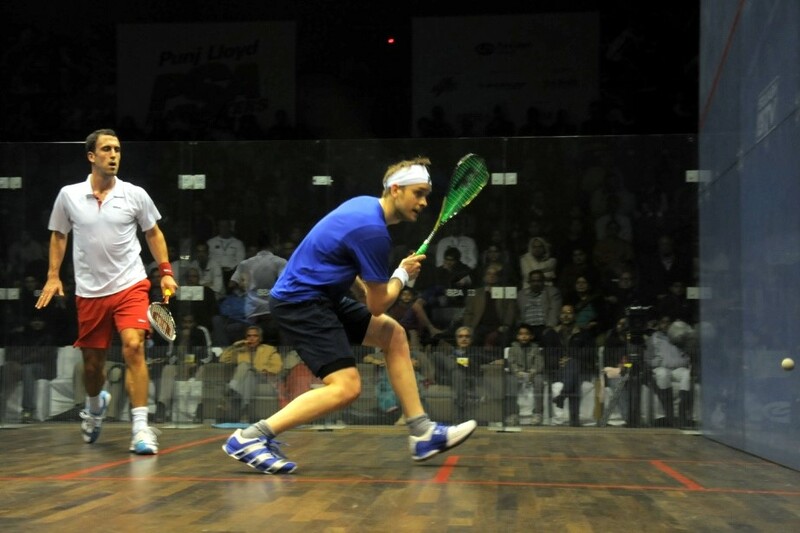 Only him and Ramy (Ashour) have done it that quickly. 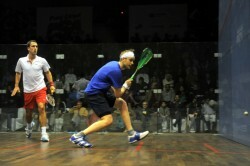 He played well against Darwish last night and he’s had an amazing 2011. “I’ve a really good year but a poor first half of the season because of a hamstring injury. 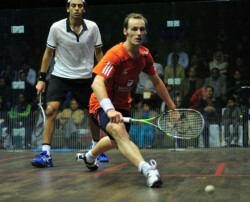 Since then I’ve found my squash again and I’m happy to have had a better second half,” added Gaultier. The success in Delhi has rocketed El Shorbagy up to 10th place in the 2011 PSA World Series Standings – but his defeat today ensures that Malaysian Mohd Azlan Iskandar will finish in eighth place, and therefore qualify for next year’s ATCO PSA World Series Finals for the first time. The second semi saw Englishmen Willstrop and Barker do battle on the PSA Tour for the 18th time since February 2003, and for the seventh time this year! And underdog Barker, who was celebrating his first World Series semi-final appearance since making the last four in the event two years ago in India, came out as runner-up in all but one of those meetings. 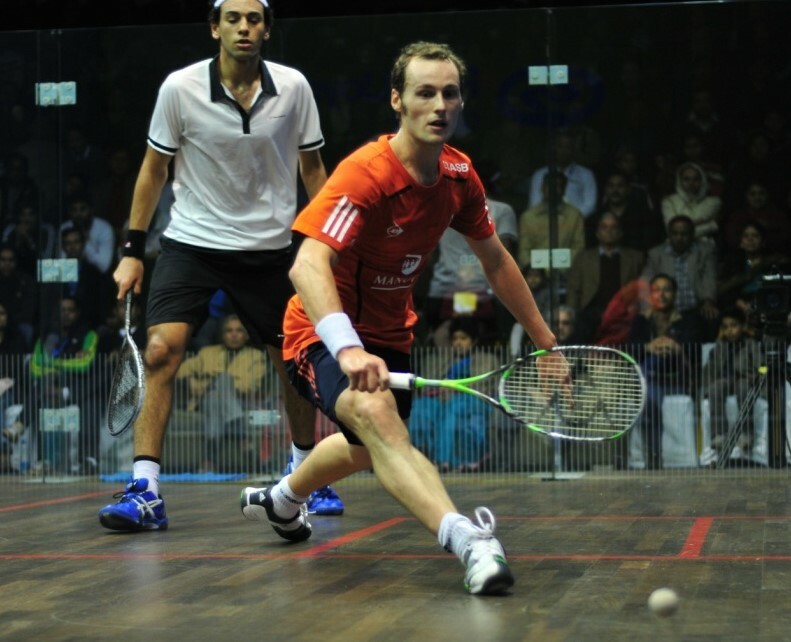 Despite confidence 24 hours earlier, Barker seemed unable to make an impression on his England team-mate in this latest clash – perhaps still recovering from his shock victory over Egypt’s event favourite Ramy Ashour in the previous round. “People, and the media especially, love to go on about the stats between me and Peter – but I don’t dwell on it, and I’m sure Peter doesn’t,” said Willstrop after his 11-4, 11-3, 11-3 triumph – his 15th Tour match win in a row. “It’s not a fair reflection as we’ve had some ridiculous matches in the past. It’s going in my favour a bit, but every time we play it’s tough. The world No2, now in the 28th Tour final of his career, has his life-long coach Malcolm Willstrop, his father, with him in India: “It’s great to have Malcolm here. He thinks because I won in Hong Kong and Kuwait without him that I don’t need him – but that couldn’t be further from the truth.